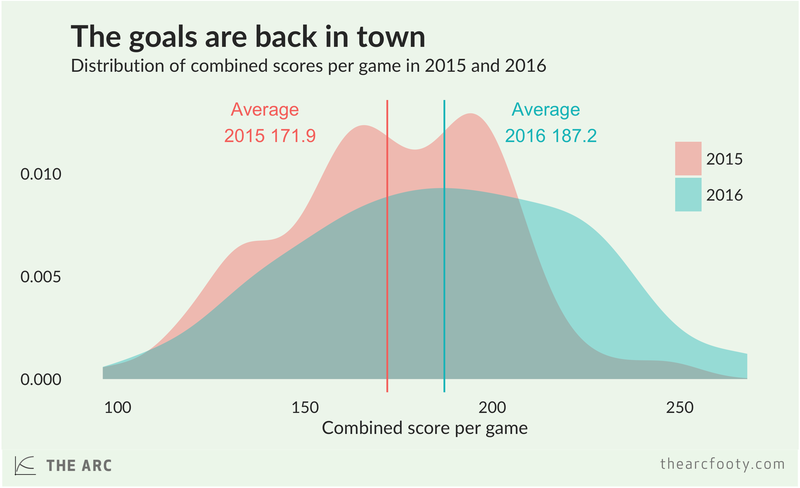 The Arc has a firm pro-goals policy, so we were happy to see that average scores seemed to be up a little in the early rounds of the season. The increase seems to have endured – at the seven round mark, scores are notably higher than they were last year. 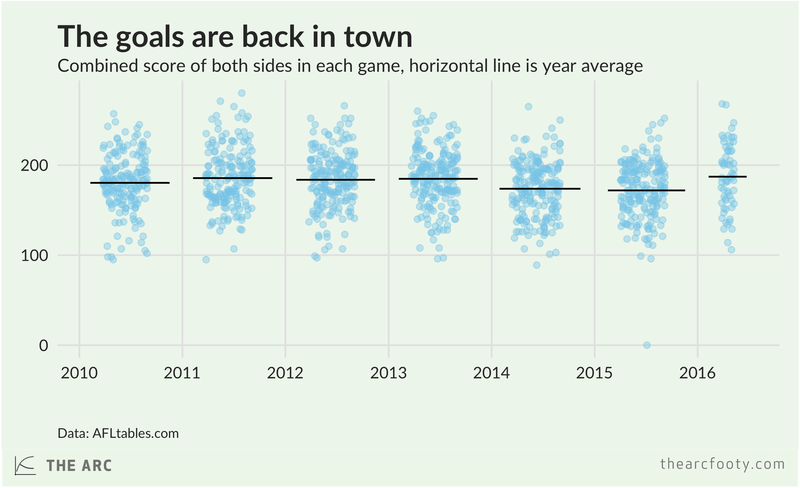 It looks like the rule changes – reduced interchange cap, tighter deliberate out of bounds interpretation – are working. 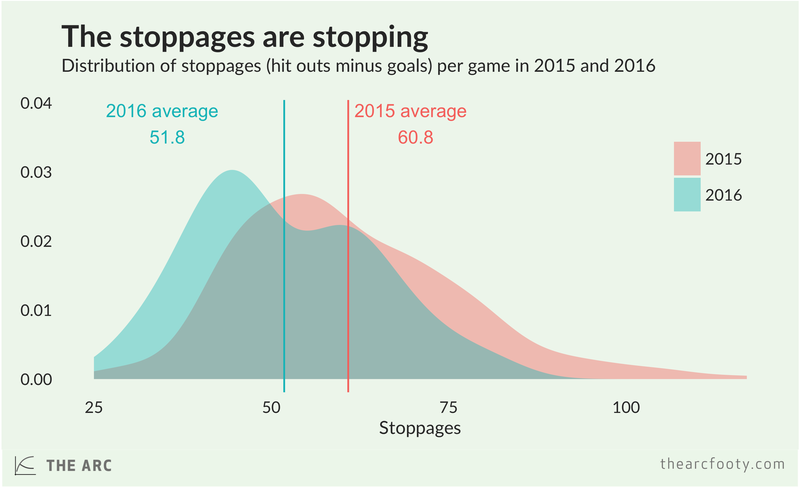 The league has also tried to reduce stoppages, and it’s succeeding there as well.